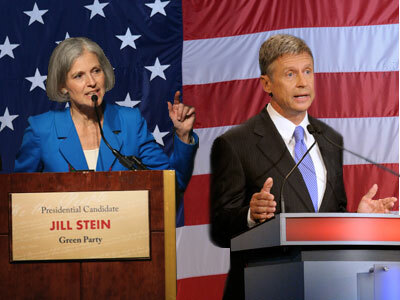 Libertarian Party presidential candidate Gary Johnson and Green Party presidential candidate Jill Stein. 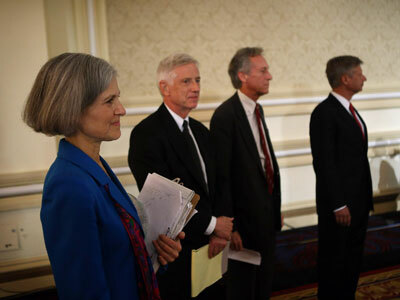 Unsung political candidates Jill Stein and Gary Johnson tackled issues the mainstream sought to gag. 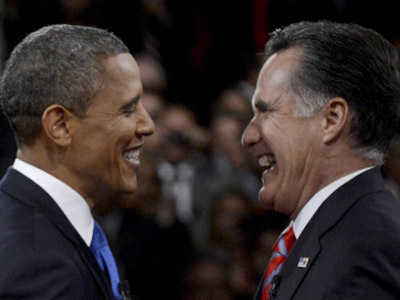 Broaching topics such as WikiLeaks and the US police state, the politicians gave voice to the issues forgotten in the scramble for the White House. After the runaway success of the first third-party debate in Chicago, hosted by legendary broadcast journalist Larry King, RT and the Free and Equal Elections Foundation hosted another debate featuring Green Party candidate Jill Stein and Libertarian Party candidate Gary Johnson. 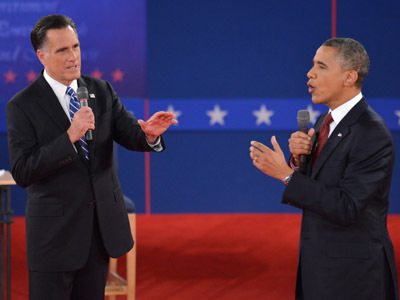 The two candidates gave their take on international issues and foreign policy. Stein and Johnson were the winners of an online poll following the October 23 debate, in which Justice Party candidate Rocky Anderson and Constitution Party candidate Virgil Goode also participated. The final debate was moderated by a panel that included RT’s own Thom Hartmann, host of ‘The Big Picture,’ and Christina Tobin from the Free and Equal Elections Foundation. Johnson, the former Governor of New Mexico, is known for his philosophy of limited government and support for civil rights. 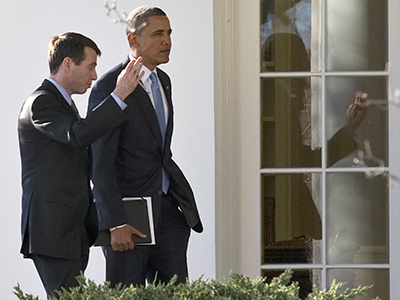 He also vowed to enact deep spending cuts, including Medicare, Medicaid and Social Security. Johnson promised to balance the US budget through reductions to all federal spending, and immediately ending overseas wars. On the international front, he pledged to cut foreign aid, arguing that only programs directly impacting US interests should be funded. He believes that maintaining a strong national defense is a priority, but not at the expense of spending on basic infrastructure. Stein proposals included a ‘Medicare-for-all’ program as a solution to America’s healthcare crisis. To boost the struggling US economy, she called for a 90 percent tax on bonuses for bailed-out bankers, and tax breaks for poor and middle class families. As the Green Party candidate, Stein advocated for the implementation of an energy efficiency program called the ‘Green New Deal,’ which she claimed would create 25 million jobs and end climate change. Stein also said she would cut the Pentagon's budget by 50% and demilitarize US foreign policy, placing renewed emphasis on human rights and international law. Stein opened the debate by answering a question about the economy and the outsourcing of American jobs. 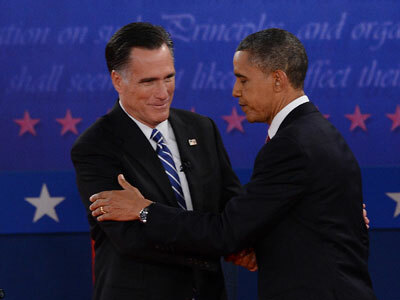 She asserted that that while some might blame companies like Mitt Romney's firm Bain Capital, President Barack Obama is equally responsible for jobs being sent overseas while wages are driven down at home. Stein attributed this in part to free trade agreements the US has enacted, which she said do not protect American workers. She also called for a hike in corporate tax rates, saying that tax cuts for the wealthy and corporations have resulted in money and power becoming more and more concentrated in the hands of a few people. She contrasted her positions with Johnson's, saying that cutting taxes on the wealthy or corporations has always failed to generate economic growth, and that the national debt has skyrocketed as taxes have gone down. The Green New Deal featured prominently in Stein's answers. She said the program would jumpstart the economy the same way the New Deal got the US out of the Great Depression: When the private sector refuses to create jobs, the government must step in, including the creation of jobs in renewable energy. Governor Johnson explained that there is a difference between the terms 'jobs' and 'free trade,' and that much of the criticism of free trade is actually criticism of ‘crony capitalism.’ Johnson advocated a business environment "that brings corporations back," which would be achieved by "abolishing corporate taxes and the IRS," including income taxes. He claimed that under this policy, "millions of jobs would flock back to the United States," while tens of millions more would be created due to the tax-free environment. He contended that government should have no role regulating economic activity – it must simply "create a level playing field for everyone, and just see what happens." Johnson advocated that Wall Street banks that engage in risky trading practices should not be rescued. He noted that as banks get bailed out inflation goes up, and warned that the US dollar could soon become worthless. However, he maintained his position that this was not a legislative or regulatory issue. Stein also took a hard line on financial malfeasance, arguing for a reversal of the deregulation that began under the Clinton administration. The separation of commercial and investment banks, she said, had protected consumers and homeowners for decades – the repeal of Glass-Steagall set off a series of crises culminating in the Wall Street crash of 2008. "We should do unto others as we'd have others do unto us," Johnson's said in response to a question on foreign policy. He said that US foreign interventions have killed countless civilians, and unnecessarily created millions of enemies. Johnson said the US must "set the example" worldwide and use its diplomatic influence, not military force. Stein proposed that the US implement a foreign policy based on "international law, human rights and diplomacy," instead of its current policy of invading countries for oil and dominating militarily. After a decade of war, trillions of dollars and thousands of lives lost, she said, we have only witnessed a further expansion of war and the failure to create stable democracies. She also said that the US must set an example for its allies by respecting human rights and international law. She pointed to the US relationship with Israel and Saudi Arabia – two countries known to regularly violate international law that Washington rarely calls to account. 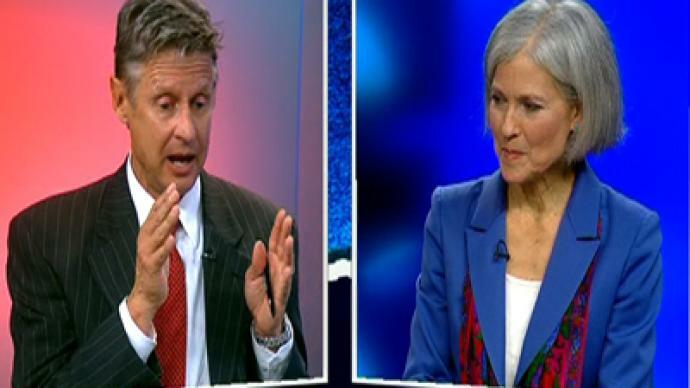 The current tensions with Iran, Stein said, are indicative of a "short-sighted" foreign policy. Iran may or may not develop nuclear weapons, she said, but several Middle Eastern nations already possess that technology and do not follow international nuclear nonproliferation standards. She proposed an "even-handed and equal" approach, which would eventually create a nuclear weapons-free Middle East and world. Stein argued that American diplomacy should focus on the country's most serious threat: Climate change. Libertarian Party candidate Gary Johnson. Stein said that foreign aid must be changed from present policy, which mostly consists of arms deals. She said that a majority of weapons sold worldwide are American-made, and claimed that the US is "throwing gasoline of the fires" of the world's ethnic, religious and other conflicts under the guise of foreign aid. "Foreign aid," Johnson said, "is poor people in this country giving money to rich people in foreign countries. It goes to prop up dictatorships that have American interests at heart." He proposed an end to foreign aid, which builds roads, schools and highways across the world when they are still needed in the US. Johnson also claimed that the US is funding jihadists in Syria, and asked rhetorically whether Washington had truly learned its lesson after backing Osama bin Laden in Afghanistan decades ago. Hurricane Sandy showed how vulnerable the US is to climate change, Stein said. The storm came after the country’s hottest twelve months on record, as well as widespread flooding and droughts. She said that Americans must realize that fossil fuels are the main culprit of climate change, and that they also contribute to a political system that avoids environmental issues. Stein compared climate change to Pearl Harbor, explaining that when the US was attacked at Pearl Harbor, there was a national mobilization to meet the emergency. She claimed that the US is in a similar emergency today, and proposed that bomb factories can be converted to clean energy, solar and wind factories, much as car factories were converted to bomb factories during WWII. Johnson said that he didn't believe a president can have an effect on climate change, and that market demands are the best method of combating it. As consumers demand lower carbon emissions, he argued, carbon emissions begin to go down. Stein said WikiLeaks is not a threat to national security, and paraphrased founding father Benjamin Franklin: "If we sacrifice liberty for the sake of security, we will end up losing both." She maintained that the American people have a right to know what their government is doing. Transparency is central to exposing government crimes committed behind closed doors, she asid, adding that the world owes WikiLeaks and Bradley Manning a debt of gratitude for bringing it about. She noted that President Obama has prosecuted more whistleblowers than all US presidents combined. Johnson generally agreed, saying WikiLeaks had brought transparency to the system, and that it has posed no threat to America's security. Both politicians go head-to-head in RT's third round debate. Stein said that President Obama has reinterpreted legislation allowing the government to imprison and assassinate anyone without charge – including American citizens. She called this a "dreadful attack" on civil liberties, and that the crackdown on the Occupy Wall Street movement showed that the right to protest is also under attack. Johnson said that the origin of the US police state lay in the War on Drugs, and that he would enact policies bringing an end it, including the immediate legalization of marijuana. He continued that he would have vetoed the NDAA, and would never have established the Department of Homeland Security. He also added that, for example, he would leave airport security up to the airlines and local municipalities. Johnson also said that in a recent ACLU report rating each candidate's stances on civil liberties, he ranked the highest at 21out of 24, while Romney received a 4 out of 24 and Obama received a 16 out of 24. Johnson took a decidedly simply stance on budget cuts: "I absolutely believe we need austerity." He warned of a monetary collapse if the US does not balance its budget, and claimed austerity would help avert the crisis. If the US continues down its current path, "we will collapse," he said. Stein argued that "austerity has a track record, and it's not a good one," saying that if it worked in the United States, it would be for the first time ever. She proposed her Green New Deal as an alternative. The New Deal "radically" reduced unemployment within a few months of being implemented, she said, adding that new jobs in green and renewable energy will pay for themselves. Stein claimed that austerity would only worsen the country’s economic outlook, and that the talk of shared sacrifice should include a look at the "pillaging" of working and poor people, whose wealth, she said, has been shifted to the top. The working class has sacrificed enormously, and the wealthy few must match that sacrifice, she said. A Medicare-for-all policy would be one serious alternative to austerity, and would transform a "massive, wasteful corporate health care bureaucracy" into a program with only a fraction of the red tape and overhead. For the final question, Stein said that Americans have the right to know what they are eating, and called for the labeling of all genetically modified food products. She also proposed a moratorium on genetically engineered food until it's proven to be safe to eat. Johnson said that one of the government’s fundamental roles is to educate citizens – for example, by labeling food ingredients. He asserted that consumers must have all the relevant information in order to make free choices. 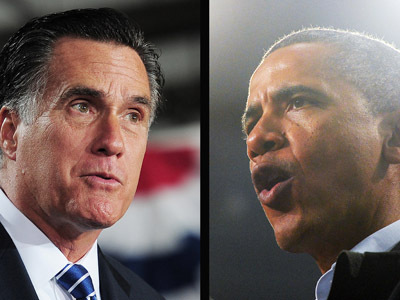 Obama vs Romney on foreign policy: Which one is which again?